I like the ability to customize the sizing, however the quality isn't great. For example, within minutes of putting on a freshly pressed or steamed shirt, the sleeves are very wrinkled just a minute later. Response from Charles Tyrwhitt: Thanks for your comments here and it's great to see some aspects of the ordering process were to your liking! In regards to the shirt itself, it is made from beautifully soft Egyptian cotton. While this gives it a luxurious feel and look, it does make it a little more susceptible to creasing as the cotton fibres are very delicate. You may want to give our non-iron shirts a try - they are incredibly popular and still 100% cotton! Well made, comfortable, and sharp! I have really enjoyed the shirts that I’ve purchased except this Egyptian cotton poplin shirt. It wrinkled as soon as I put it on. All the other shirts that I’ve purchased have been comfortable and wrinkle free! 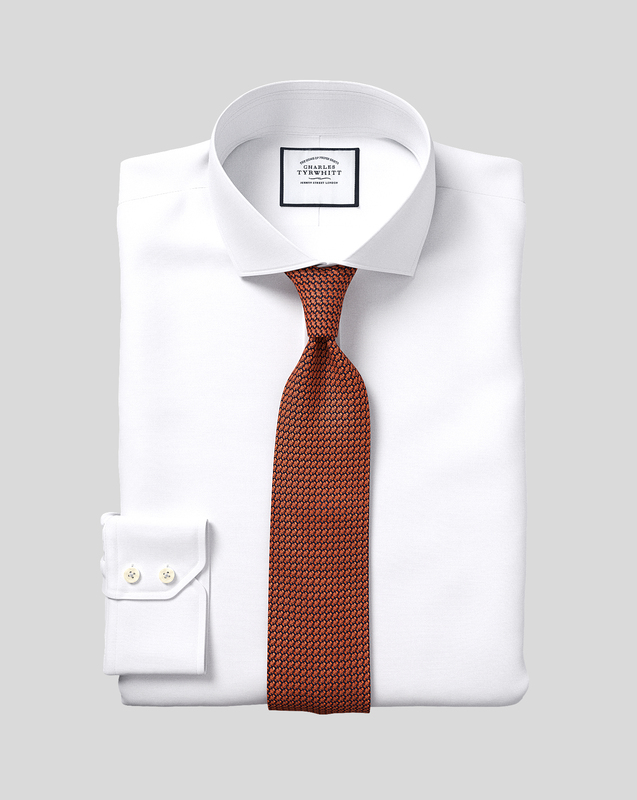 Response from Charles Tyrwhitt: The Egyptian cotton shirts are beautiful to the touch, but very delicate! The cotton fibres are much softer than regular cotton and as a result, they can be affected more by creasing, unfortunately. This, coupled with the Poplin being a very lightweight weave, will be the reason why you have seen more wrinkling. We would welcome you to return the shirt to us if you wish, perhaps for one of our non-iron Poplin models. Response from customer: I was able to send the shirt back, which included free shipping, for a shirt that I preferred over this shirt. After receiving the reply from Nicholas, it made me rethink the rating that I had given the shirt. The shirt was soft and delicate and for that it was a great shirt. It was not like my other shirts, which is what I was expecting. If that is the type of shirt someone is looking for then it is for you! I was skeptical that a slim fit shirt would fit my boxy build. Thankfully, I was wrong. The shirt fits superbly.